Roses are the most popular flower grown in gardens, according to a poll of 30,000 gardeners by Bombay Outdoors. The Rose took a whopping 32 percent of the total votes, with the second place flower (Zinnia) only raking in 7 percent! 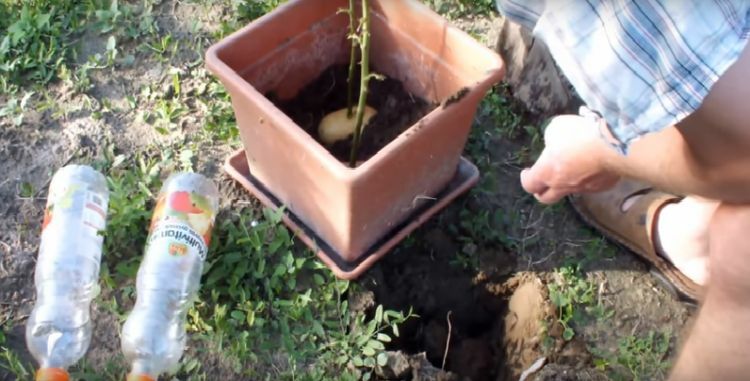 Follow these simple steps to get your potato-planted Rose started. 1. 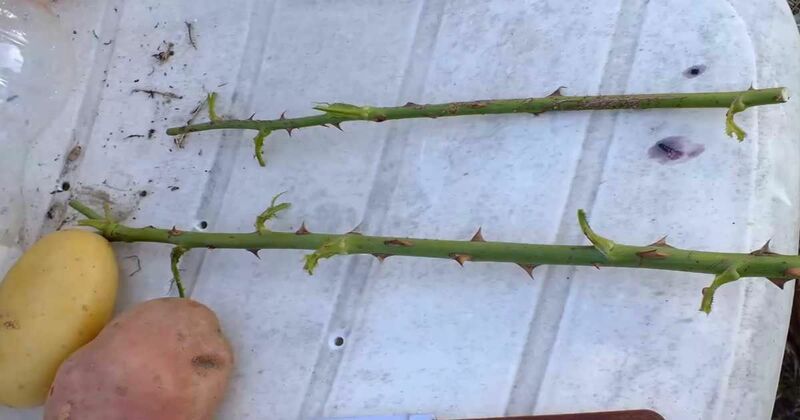 Use a knife to cut all of the thorns off the bottom half of your flower stem. 2. Use a knife to cut a narrow but deep hole into the body of the potato. Use a sharp knife and twist it in a circular motion. Make it just wide enough to fit the stem and don't cut all the way through the bottom of the potato. You can also use a drill bit to twist a hole into the potato. 4. Fill a medium-sized planter about 1/3 of the way full with soil and place your potato/rose cutting on top of the soil. Push into the soil to keep the potato stable. Then fill the rest of the container with soil. 5. Use a knife to cut off the bottom of a 1-liter bottle. Remove the lid and place the bottle (cut bottom down) over your rose cutting. 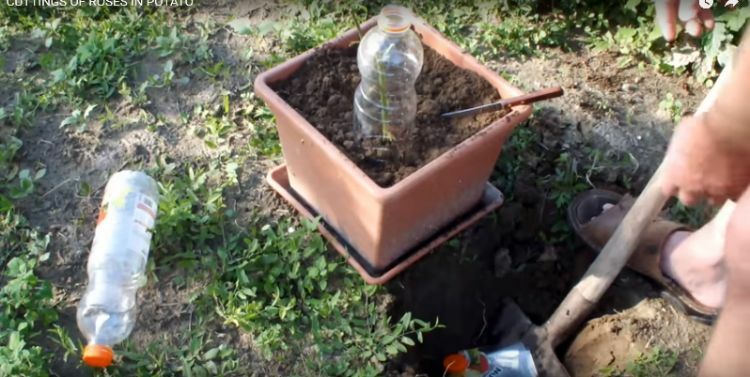 You'll want a bottle for each cutting that you plant. The bottles will protect your cuttings until they are stronger. - Try adding two to three banana chopped banana peels beneath the leafy area of your bush (but not touching the stem) or blend the peels with water. Let is set for a few minutes before applying the banana water to the roots of your plant. - Woman's Weekly recommends making sure that your roses get plenty of sunlight. They need at least four hours of sunlight each day. -Protect your roses from critters like Japanese beetles and aphids by spreading plants apart (to keep any bugs or disease from spreading) and try applying a soap spray mixture to the flowers, according to Heirloom Roses. If you love this trick, don't forget to share it with your friends on Facebook and compete to see who can grow the prettiest roses this year.